Good morning! My name is Don, Founder of the international company Migliore Luxury Car Care. I am here to entertain any questions you may have regarding our line. I look forward to your questions and comments! Hi Don! Hopefully people will join in. So one of my questions is the best application of Migliore waxes? I've had good success with them. Sure, not a problem Dave. Migliore can be applied in the sun or shade. Application itself is a breeze, I receive the most question regarding removal. 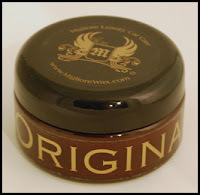 The Migliore waxes are not hard to remove if applied correctly in very thin layers. Most may think it is difficult as it's different from the norm, which it certainly is. 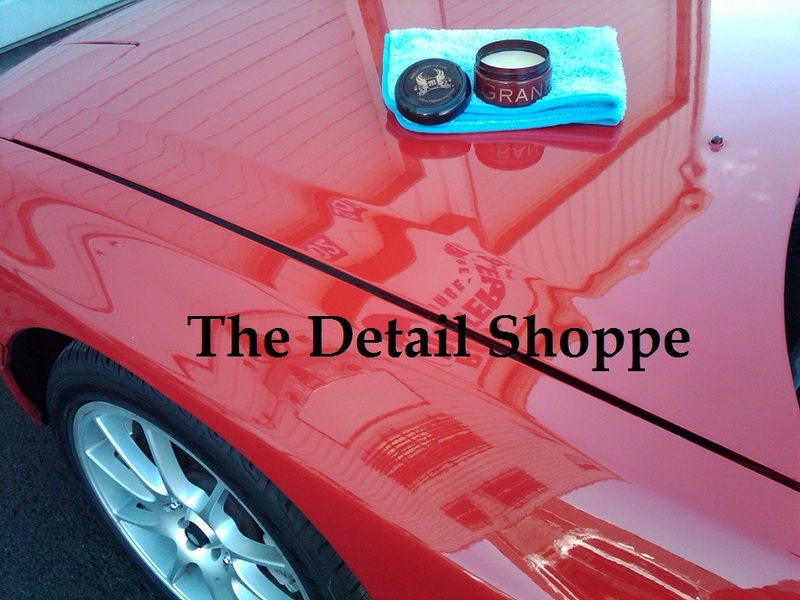 I like to apply the wax via a foam applicator and let the product sit for 20 minutes while I touch up other area of the vehicle. Upon removal, rotate your microfiber every 3x3 ft square. This will prevent wax from building up and essentially pushing the wax around the paint. Next, if you find have applied too much wax, you can mist with our Endurance Spray QD to remove any excess. I've removed original blend after a minute and also after roughly 30 minutes with no issues. The look of original blend is very unique. Does endurance spray have any protective abilities? Thanks, Dave. Endurance Spray does not have any serious protective ability. Endurance Spray is generally used for rejuvenation of a recently washed auto and adding a little extra pop. It works very well over all carnaubas in my experience. Should I have seen a decrease in durability when I removed the Original Blend after just one minute? I actually applied a second coat a week later so I never noticed. Durability was good at 2 months in high heat conditions which wreaks havic on wax durability. No, you should not have seen a decrease in durability. The waxes technically never haze, so it's a matter of personal preference. We have seen and have had customers report 3, to 3+ months worth of durability. This is quite incredible, as you know, for a carnauba. I attest this to the very unique formula. After your first use, you'll realize there is nothing else like Migliore on the market today. When I removed it after one minute and 30 minutes it removed just the same and easy too. What is the major differences between your waxes? They all seem to offer something different. Original and Frutta offer around 32% carnauba and are considered our entry level product. Migliore was founded with just one product, our Original blend, which has snowballed into what you see today. Primo and Competizione have approximately 46% and 48% carnauba respectively. At this level you the difference in carnauba will not make much of a difference. The difference comes in the complete blend and oils used. That's a pretty high carnauba content! I haven't tried Primo or Competizione......yet. I remember an email regarding new products, what are they? I think I remember an APC and a few other things. We have three new products: Naturale Shampoo, Citro Shampoo, and Forza Clean. These are two shampoos and an APC respectively. Two shampoos! Does one contain wax or a protective agent? Naturale Shampoo is all natural as its name implies. I love this shampoo, it's incredibly sudsy and offers a great barrier between the paint when washing. Citro is a strip wash, it's very low viscosity and made for foaming. Sounds like you have the shampoos covered, it's good to have multiple shampoos for different tasks. I remember you telling me that each product is hand poured. To me that means very good quality control and that you ensure every bottle sent out is as it should be. Yes, I agree. Our strategy has always been to always be small enough to have a one on one relationship with our customers. We do not desire to be in any big box or department stores. Migliore seems to have really taken off across the pond, what are some of your future plans with the company and new products? Yes, definitely. Migliore's main market is in Europe. Over the last year sales have skyrocketed overseas. 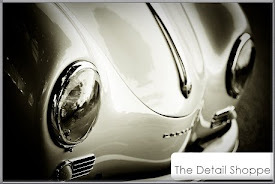 In the next 6 months we plan on offering a new pre-wax cleaner and an ultra luxury numbered wax. WOW! Im looking forward to the new wax for sure. A pre wax cleaner would be excellent as well. Have you ever entertained the idea of offering polishes? We have thought about it, but decided not to go down that path. There are already so many great polishes on the market. Yes and it seems as though you are making your mark in the LSP market. Thanks for stopping by Don! I appreciate it!!! Thank you! Enjoy the rest of the weekend.